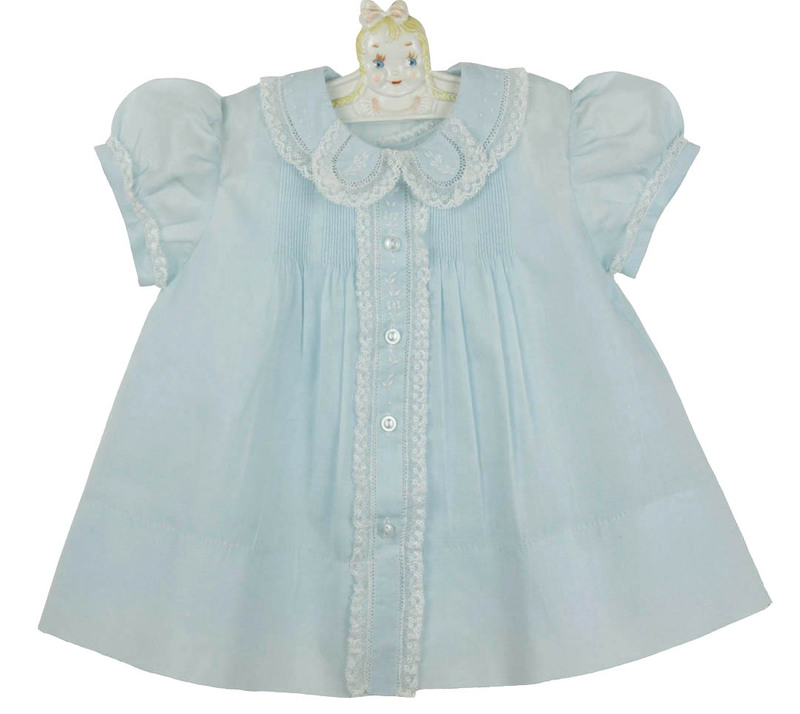 Hand made in the Philippines by Feltman Brothers, this gorgeous blue cotton blend batiste daygown features tiny pintucks on the bodice with a lace trimmed and embroidered front placket. 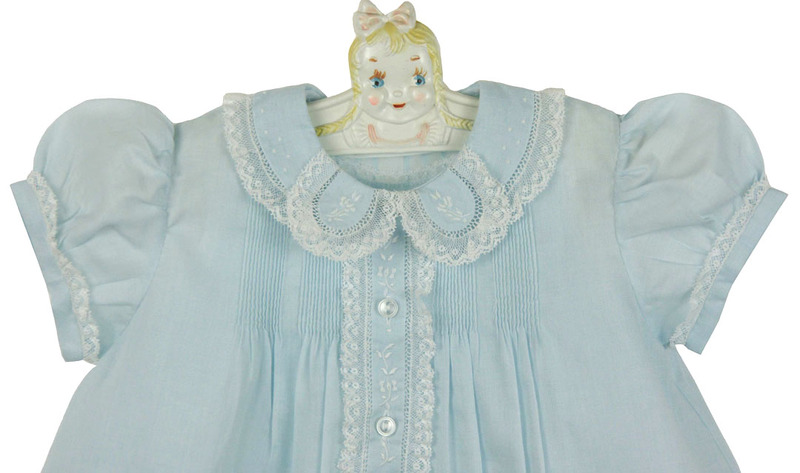 The collar is beautifully embroidered and accented with entredeux and lace. The short puffed sleeve cuffs are trimmed with lace. A deep 3" hem finishes the gown. The matching embroidered and lace trimmed slip can be worn on its own as a sweet summer sundress. This lovely daygown is perfect for a baby shower gift or a special take home outfit for your baby girl.